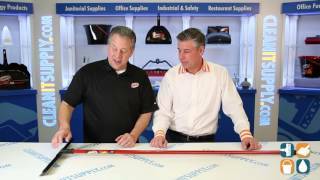 The Libman Soft Rubber Floor Squeegee Set is a 24" straight style floor squeegee. It has a flexible, soft, rubber blade mounted perfectly straight to remove water from soft flooring surfaces such as driveways, garages, and industrial sites. 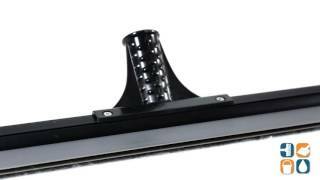 This squeegee is ideal for removing water, chemicals, or mud.